A teacher asked student, What is the full form of Maths? Teacher: Tomorrow there will be a lecture on Pluto and Neptune. Everyone must attend it. Sudent: Sorry my mom wouldnt let me go so far. Student replied, My mom and dad got married on the same date. Teacher: How old is your dad. Student: Because he became a dad only after I was born. “Just because you ask me to loan you £10, it doesn’t I am going to”. TEACHER : PAPPU, go to the map and find North America. PAPPU : Here it is! TEACHER : Correct. Now, class, who discovered America? After answering correct, the teacher said, ‘Smith, tell me an important incident which never happened before within ten years’. Smith: I answered correct today. Teacher: Sir, why doctors wear a mask when they do an operation? Student: For safety. If the patient dies, others can’t find out who did the operation. Student: But sir, if it happens to you, we shouldn’t help you. Student: Because you don’t have any hair. Teacher: Which one is closer, Sun or Australia? Student: We can see the sun all the time, but can’t see Australia. Ben: Thank you Sir. I hope you will also print the question paper from my uncle’s printing shop next time. Teacher: Why does sea water tastes like salt? Student: Maybe a ship of salt sinked a long time ago. Teacher: Ron, your handwriting is very bad. You will suffer in the future. Ron: Don’t worry Sir. I will be a typist. Teacher: Tom! I know you are bad at spelling. That’s why I told you to write down this sentence 10 times. Why did you write only 4 times? Tom: Sir, I am bad at math too. 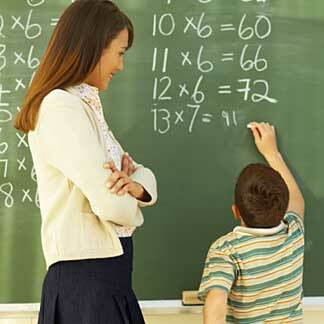 Student A: My teacher caned me for something I didn’t do? Student B: Thats so bad. Student A: Well, I didn’t do my homework. A biology teacher wished to demonstrate to his students the harmful effects of alcohol on living organisms. For his experiment, he showed them a beaker with pond water in which there was a thriving civilization of worms. When he added some alcohol into the beaker the worms doubled-up and died. An eager student gave his answer. Sam: No sir, I don’t have to, my mom is a good cook. Seven-year-old John had finished his summer vacation and gone back to school. Two days later his teacher phone his mother to tell her that John was misbehaving. 1. BE FRANK. Student will ask you several questions. This sounds very common but BEWARE, they have hidden agenda. They want to test you whether you are capable teacher or not. If you do not know how to answer, BE FRANK with them and tell them that you will find the answer and tell them soon. 2. DO NOT COMPARE STUDENTS. This is what a teacher always do. Students do not like to be compared to other students. Same goes to every people. A student might LOSE INTEREST in you and your learning if you like to compare them. 3. DO NOT MAKE NAMES TO THE STUDENTS. Indeed, students like to make names to the teacher especially the one they hates the most. Discipline teacher usually have ‘names’. However, you as teacher, do not call them with a new name (ANIMAL, SCUMBAGS, etc.). This will make your students hating you FOR LIFE! 4. DO NOT LOSE YOUR GROUND. A teacher is easily lose his/her ground especially if the students tend to be liking the teacher. There must always be a HIDDEN AGENDA from the students. They want to get attention so that you know them better. Try to be fair and treat them equally. Try not to have ‘PET’ among your students. Others might not like it. 5. DO NOT USE ‘TEACHER’ POWER. Usually, the teacher will scold students if they found students smoking or riding bikes without helmets. But, teacher always do that. It is ironic when the teacher is smoking and riding bikes without helmet. Here, never tell the students that ‘WE ARE TEACHERS, YOU ARE STUDENTS’. It is ironic. The rules applied within school’s compound. Everyone must obey the rules. Step Up to better English. English is a step to meet the world! A good or a bad teacher? Teacher is seen as a very good example. Indeed, they deserve to be a role model. This is the nature of a teacher, especially, when he teaches in primary and secondary school. Students tend to imitate and do what the teacher does. This is what I have encountered during my old school days. Somehow, when I reflected back these memories, now I realize that some teachers were good and some teacher were bad. Why do I say this? First, I learn many things during my studies when I was in IPG KBL and UKM (current). Well, in the first place, I have the chance to learn the proper way to educate students and how to treat students as they are. Some teachers during my school days, a lot of them was just teaching. More often, they were using chalk and talk until sometimes I lost my interest in learning the subjects. I still remember one teacher who taught me “Sejarah”. Every time she went in my class and taught the subject, I hold up a book on the table and my head was behind the book. I WAS SLEEPING throughout her class! To me, she failed to attract students’ interest. Moreover, I did not like that subject. Luckily, I scored a decent result during my SPM. That is a credit to myself for trying my best. Well, is this a good or bad teacher? Second, I always like to compare this teacher to that teacher. In fact, we always do that. Here, my point is that this particular teacher (or educator, or lecturer) was always not a good teacher to me. Like I said earlier, a teacher should be a role model for her students. 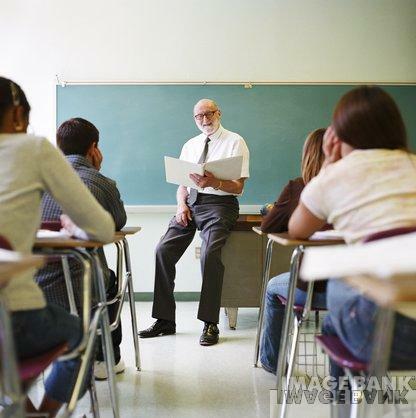 However, this particular teacher loves to interfere her students when they were explaining things in front of the class. Well, if she really wants to say something, why don’t she present or explain herself? Somehow, she wants those students to talk in front but she was talking at the back. Really, I don’t like type of teacher. Is she a bad or a good teacher? As opposed to this teacher, this teacher is currently teaching me now. He is like father-figure. He is a real joker in the classroom. Whatever he was saying, every single word is remembered. To me, I like to be like him. However, he never loses his main purpose, which is teaching and educating us. Jokes, laughter, punishment, utterances, and personality are the things the students need. But everything is just nice and still, students loves him. This type of teacher is the BEST!